Don’t worry, I’m fine. Yes, it’s true: I am not a huge nature enthusiast or exercise enthusiast or waking-up-early-on-the-weekend enthusiast. But it’s always good to break out of one’s comfort zone and do something different, right? Right. 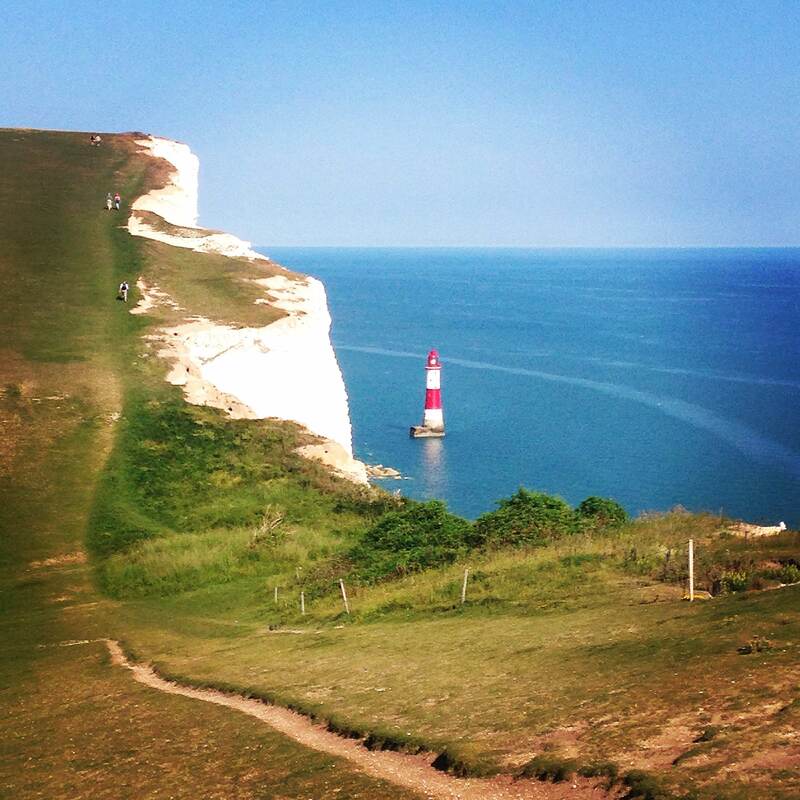 So on Saturday, I found myself walking the coastal/cliff route from Seaford to Eastbourne. It was absolutely delightful and a perfect way to revel in the longest day of the year, particularly as the weather was amazingly gorgeous. It was a truly sunny, warm (sometimes even hot!) day, the type of day that is sadly rather rare during the British Summer, so it was fortuitous that I was already committed to an outdoor activity and could therefore take full advantage of said sunshine. More or less our starting point. 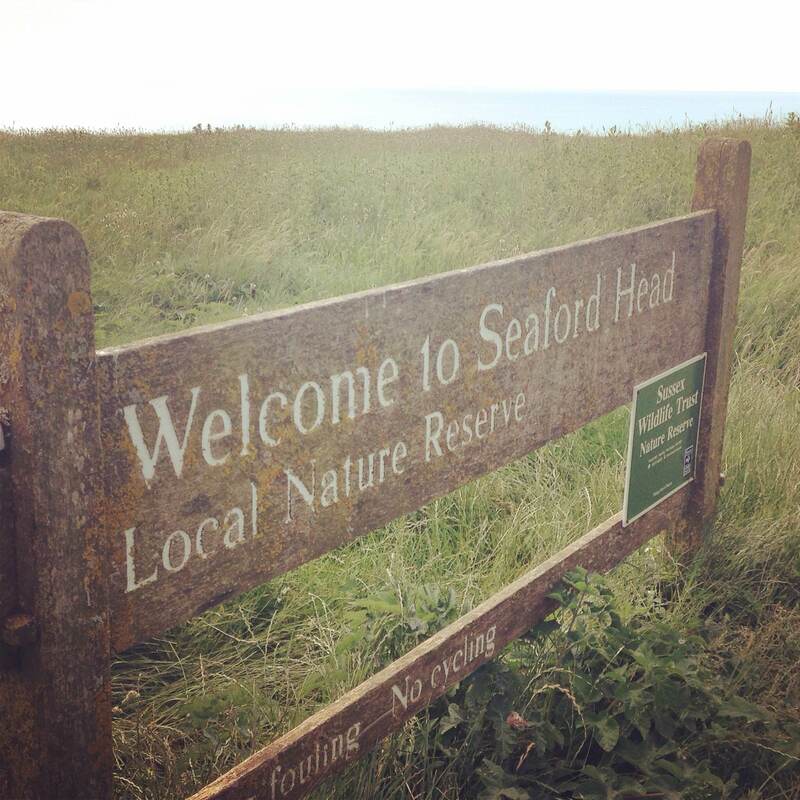 While the weather was undoubtedly fantastic, the walk was made truly lovely by the company. It was organized by Danny, a friend who moved to South Africa last year. He’s been back in London for the month of June, working and doing some wedding planning with his fiancée, Marie-Laure. He and Marie-Laure contacted a bunch of friends last month to float the idea of this day trip. In the end, Louise and I were the only ones who tagged along, and I am so glad we did. It was a great time to catch up with Danny and hear about life in South Africa, while also getting to know Marie-Laure, whom I had only met briefly before. And she is super duper cool! Well done, Danny! The walk was marked 9 out of 10 for intensity/difficulty, but at the end we all felt that while there were lots of ups an downs, the intensity was a little exaggerated. The picture below gives an idea of the route. 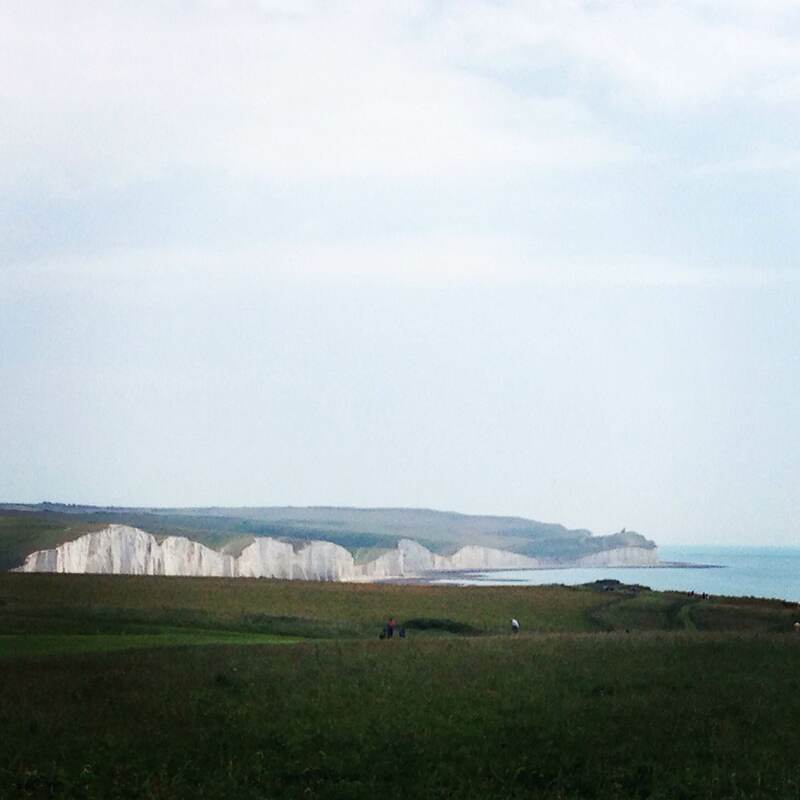 The hills along this section of the coast are known as the Seven Sisters (for the seven little peaks). While those seven hills mean lots of ascending and descending, most of the inclines are relatively gentle, so it’s not too strenuous. 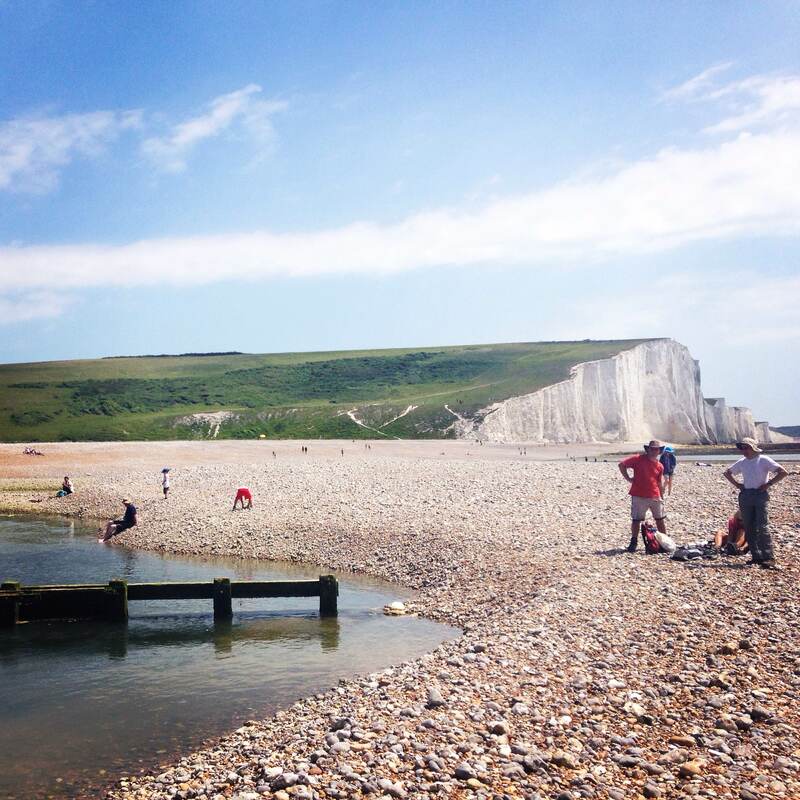 Before we got going on the Seven Sisters, we passed through Cuckmere Haven, where the Cuckmere River meets the English Channel. The first and highest of the Seven Sisters looms above us. 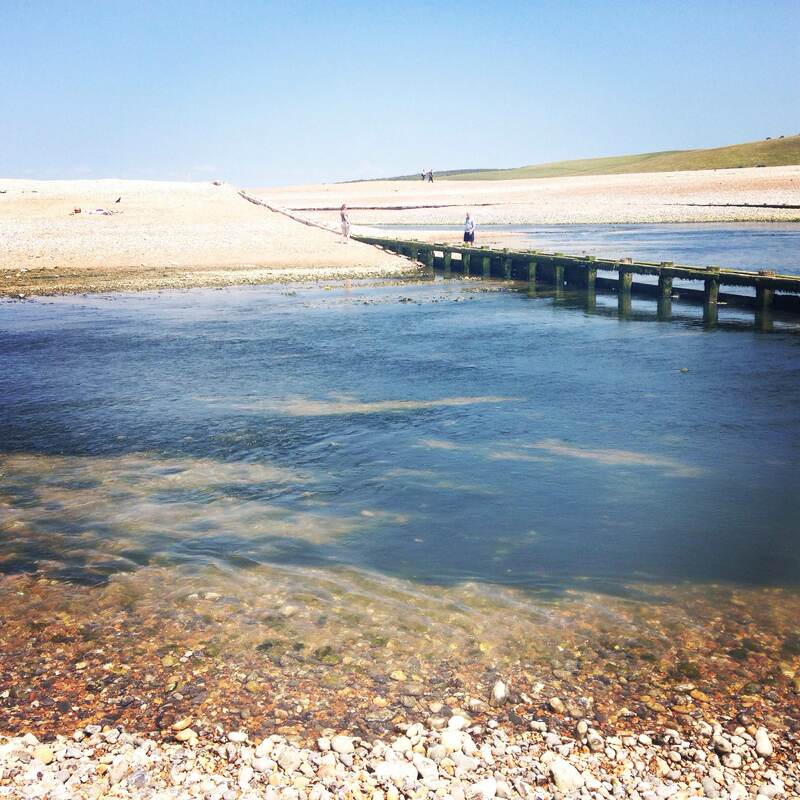 I also just learned per The Internets that Cuckmere Haven was used in Atonement as the idyllic spot that Robbie and Cecilia dream of escaping to after the war, which OMG OF COURSE IT IS! Why did I not recognize it!? We walked RIGHT BY these cottages. And now I’m super depressed because [spoiler alert!] oh my goodness gracious, that book/movie is so heartbreakingly, beautifully, shockingly sad. Also, I totally get why a couple with seriously upsetting romantic/life problems in war time would dream of living there. Anyhoo, apparently if we had passed through Cuckmere Haven at high tide, we would have had to walk pretty far inland to get around the river and up onto the Seven Sisters route. Fortunately it was low tide, so we just took off our shoes and waded through the shallows. Which was actually kind of treacherous and painful given the slimy hair-like algae and rocks situation, but don’t worry, we all made it through without incident! The day was really just lots of walking and chatting and soaking up the sun. We paused for a picnic lunch on one of the peaks. We moseyed along, marveling at the large number of old people in Southern England and snorting in derision at the dorks playing with their drone-like model airplanes. 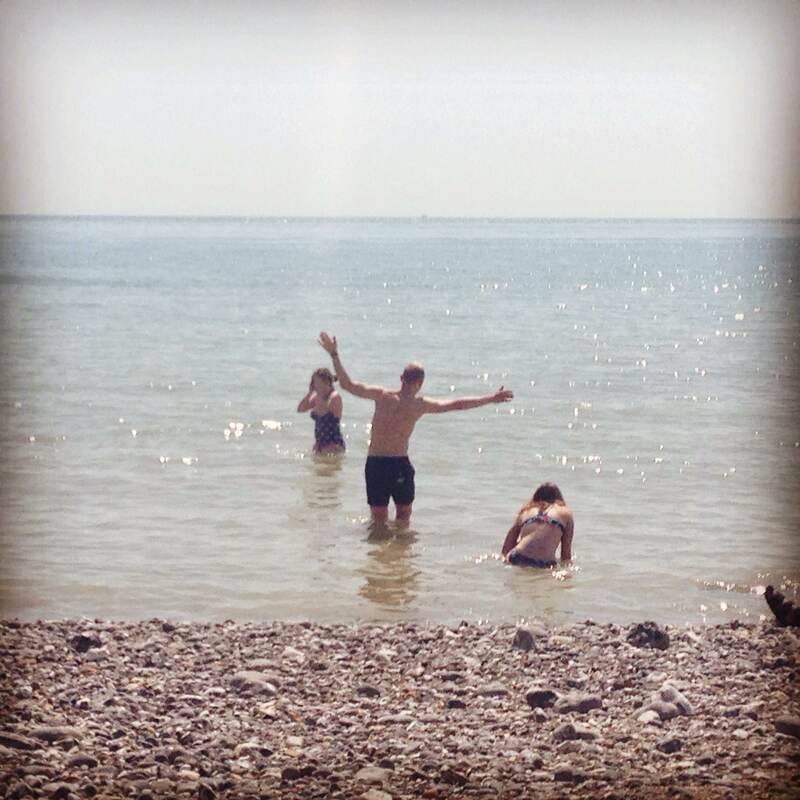 At Birling Gap, the others all took a dip in the sea while I chose to simply lounge in the sun topping up my tan. The cold-ish water and rocky beach didn’t really appeal to me especially since it wasn’t blazing hot, just pleasantly warm. I did enjoy watching the others try to navigate the slippery painful rocks on their way in and out, though. Danny goes for balancing with flailing arms; Marie-Laure opts for crawling. We lazed about on the beach for a while, chatting and people-watching. Notable sites: the man with his children’s life-size faces tattooed on his back and the couple taking some really awkwardly posed wedding photos. After our break at the beach, we only had about four more miles to cover. 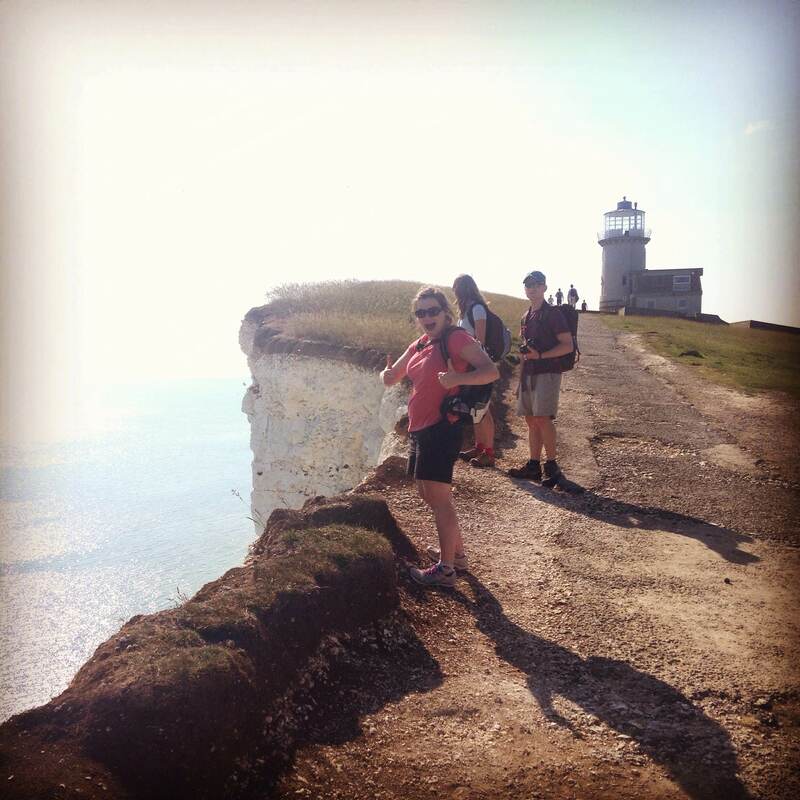 …before descending towards another very picturesque, quintessential lighthouse. 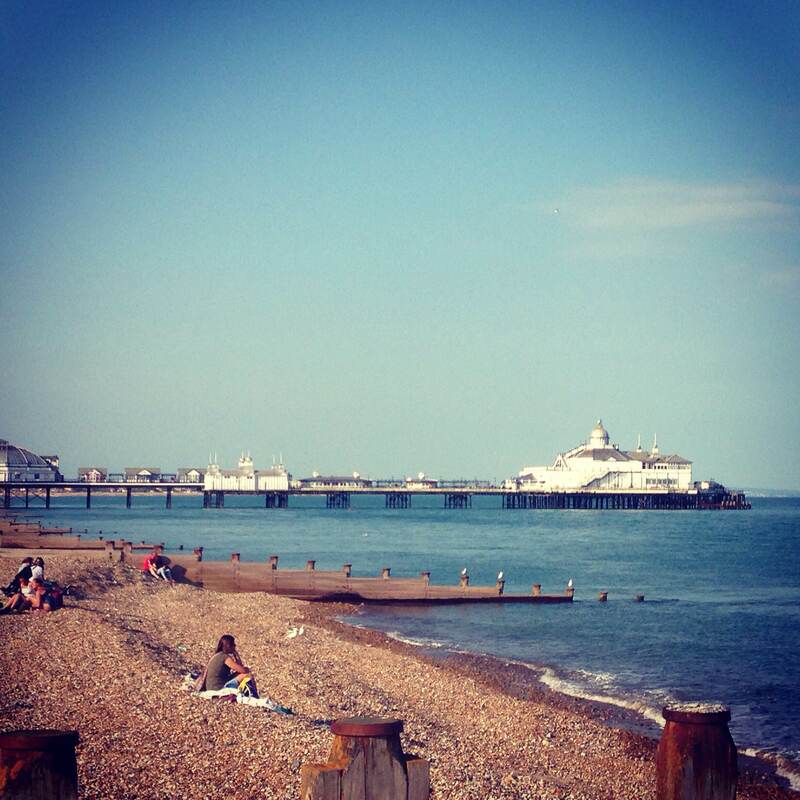 Finally, at about 5:30/6:00pm, we reached the beaches of Eastbourne. After the others took another quick dip in the sea, we wandered up into town to find some well-earned fish and chips for dinner. We were definitely feeling weary by this point, but it was a happy, sense-of-accomplishment kind of weariness. After dinner, we hopped on a train back to London and that was that! It was a really really great day. Good company, gorgeous weather – who could ask for anything more? So glad you had a warm, sunny day to enjoy with friends though time on the North Litchfield beach with friends would have been even better. We missed you.